May was a jam-packed month and I spent lots of time running, writing and attending wine events. 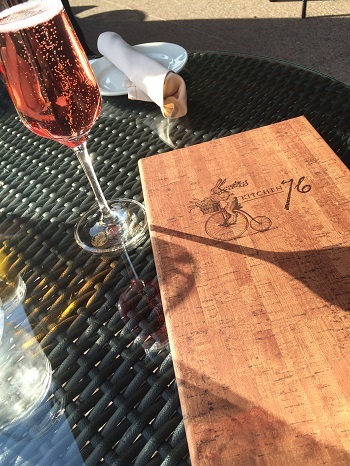 Shawn and I also took a trip to Niagara and discovered some wonderful new wines, as well as enjoying some delicious meals—I highly recommend Kitchen 76 at Two Sisters Winery, if you’re visiting the area. Watch for more on our Niagara visit on the blog soon, but for now here are just a few of the memorable wines I tried last month. 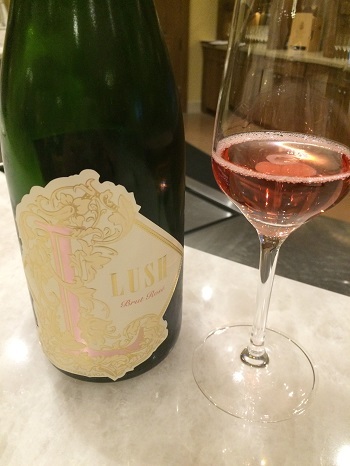 Two Sisters Vineyard Lush Brut Rosé – Niagara, Ontario – While we loved the food at Two Sisters, we were also very impressed by the wines. This dark pink sparkling rosé was a perfect accompaniment to my meal. 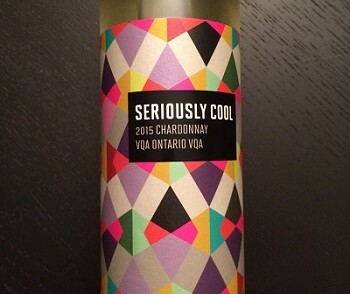 A blend of Chardonnay and Pinot Noir, it also includes a dosage of Cabernet Franc. The quality of this sparking is obvious and I loved the strawberries and orchard fruit notes on the palate. Two Sisters Vineyard 2012 Cabernet Franc – Niagara, Ontario – Full-bodied and lush, my tasting note for this wine starts with a simple word that conveyed my feelings: delicious. 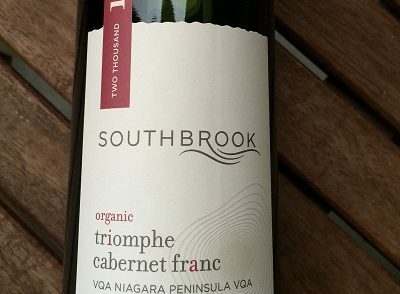 There’s no bell pepper on this Cabernet Franc, just a rounder, peppery note lending to a nice balance of earthiness and big, red fruit on the palate. An amazing example of how well Cabernet Franc can be done in the Niagara region, this is a bottle that’s well worth the $48 splurge. 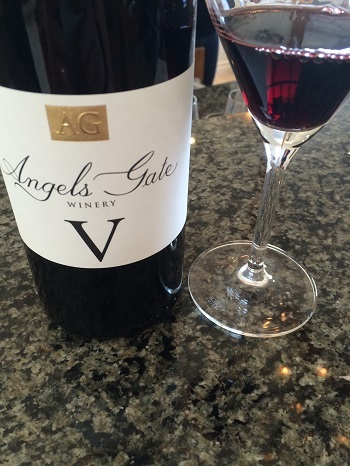 Angel’s Gate Winery Angel’s V – Niagara, Ontario – Shawn and I almost always stop in at Angel’s Gate Winery when we’re in Niagara, we love the staff (Kara is amazing) and the wines always impress. This time, we had the chance to try their newest release, a Bordeaux blend that includes vintages from 2002 to 2012. With a deep red hue, this wine opens up beautifully after some time in the glass. There’s lots of deep, lush red fruit on the nose and, while this one really needs some age on it, it’s drinking fairly well now. I expect this will be extraordinary in a few year’s time. 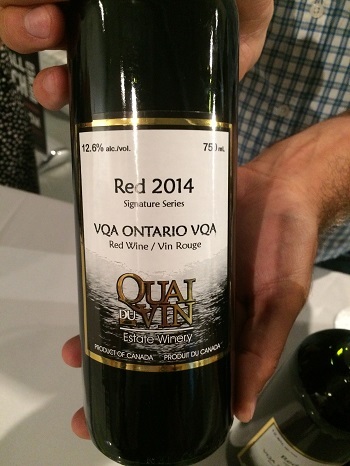 Quai Du Vin Estate Winery Signature Series Red 2014 – Ontario – A blend of red hybrids wasn’t at the top of my list of things to try, I’ll admit it, but winemaker Jamie Quai has consistently impressed me with his wines and I was willing to give this one a go. Turned out, it was one of the stand-outs for me at the recent event for Ontario’s Southwest. I will come right out and admit that I didn’t plan to review this wine, so I didn’t take notes, but even a few weeks later, I’m still thinking about it. Shawn and I both highlighted it as a very drinkable and approachable red that made us (well, me) reflect on how hybrids in the right hands can be made into some really good wine. 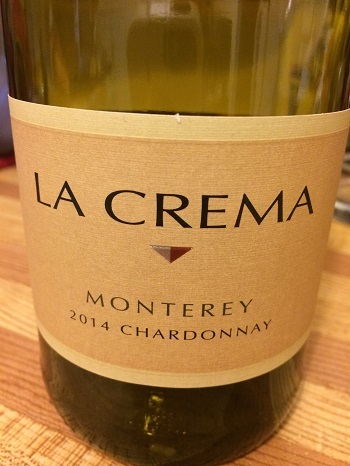 La Crema 2014 Monterey Chardonnay – Monterey, California – With notes of butter, Meyer lemon, creamed corn and mango on the nose, I knew this would be a big California Chardonnay and I was hesitant about how much I would enjoy it. But I poured a chilled glass on a warm summer night, sat out on the patio sipping and found it quite enjoyable. The mouth feel is nice, with buttery notes and some pineapple on the finish. While it was rightly pointed out when I posted about this one on Instagram that it might not be everyone’s cup of tea for a warm evening, I found a chilled glass was fine. However, a lighter wine might work better if you’re looking to have more than one glass on the patio. And when I paired this wine with a grilled chicken sandwich on a buttery bun, it worked well. This is a reasonably affordable Cali option if you’re looking for a wine to pair with roasted chicken. Have you tried any of these wines? What did you think? 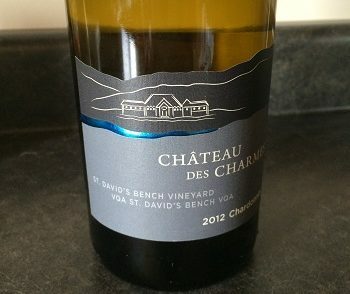 Did you try any fabulous wines in May that you want to share? Post about them in the comment section or on social! 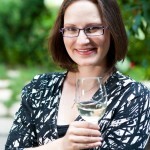 *Some of these wines were sent as samples and others were tried at the winery or at events where I was a guest. All opinions, as always, are my own.